Flash forward to 2013, following the resurrection of the fashion arm of Carven and the launch of the brand’s modern signature fragrance ‘Le Parfum‘, it is time for the relaunch of Ma Griffe. This time Carven has opted for a much more muted launch, almost silently slipping the classic fragrance back on the market in the hope that it will once again float weightlessly around city streets. Following the earlier review of Le Parfum one was intrigued to discover the world of Ma Griffe, purely as an exercise to see how the house has changed from 1946 to 2013. The truth is that the differences between the Carven perfume of days gone by and the Carven perfume of today serve as a microcosm for how the world of perfumery has evolved over the last 70 years. One often talks about ‘harshness’ when referring to the great floral chypres but not with Ma Griffe, a perfume that explores the motherly softness of an often maligned genre. The opening is a big scented burst with a satisfyingly bright and bubbly blend of bergamot and lemon with an almost musical dose of green jasmine and beautifully exotic gardenia plumes. Right from the outset there is a slightly off-kilter vibe attributed to a meaty dose of leather. This gives Ma Griffe a buxom and voluptuous feel that tempers the sharp and ocassionally hissy tendencies of the gardenia. It’s the kind of fragrance that you could happily cuddle up to in a warm and loving embrace. Vetiver, a note which is almost a signature for the house Carven, again being used in the 1957 fragrance of the same name, is paired with rose, the angular aspects of which appear to counteract each other. As it moves into the base, Ma Griffe become softer still, settling on a sour bed of musk, benzoin and tonka (cleverly devoid of any sweetness these notes would usually bring) that is a pleasingly cushioned end to an already incredibly satisfying fragrance. Perhaps the most intriguing aspect of Ma Griffe’s relaunch is the ability to compare the classic against the against the brand’s new pillar fragrance ‘Le Parfum‘. The difference in style between both perfumes is startling and portrays a fascinating contrast between the Carven women of 1946 and 2013. The classic Carven woman of yesteryear seems confident, comforting and powerful whereas the contemporary Carven woman of today is clean, aloof and dare I say characterless. Thankfully this relaunch means that one has the choice of character over cleanliness and vice versa. Ma Griffe also has the added advantage of being an olfactory time capsule, from which one can travel back in time to an era where perfume was a luxury and the world of modern perfumery was still in the burgeoning phases of becoming big business. Ma Griffe simply is a classic signature. 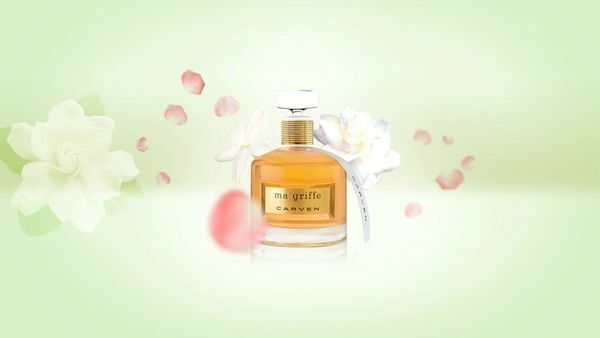 Ma Griffe is available in 50ml (£58) and 100ml (£75) Eau de Parfum. Sample, notes and quotes via Carven. Image 1 via carven-parfums.com. Image 2 via leblogdemoon.fr. Posted in Carven, Chypre, Feminine, Floral, Perfume Reviews and tagged Carven, Chypre, Floral, Ma Griffe, Perfume Review. Bookmark the permalink. Very interesting! I know Ma Griffe has been reformulated a few times but it seems to only ever be found at discounters, so i wonder if the ‘relaunch’ approach with wider distribution will help its revival? I have the big square bottle of not too long ago and I quite enjoy it on warm days. I read a review at some point where the commenter said her son says it smells like the shade of a big tree on a hot day, and it does! Did you smell different vintages, and if so- how do they compare? I love that description! It’s a warm, languid and easy chypre so that fits perfectly. Unfortunately I’ve never tried any other version than the 2013 relaunch. I’d be interested to see how the new and the old compare. This sounds really beautiful, I can’t wait to smell it. I don’t know the original but, I am glad to hear that you don’t think they have completely ruined the relaunched version. The bottle looks very classy as well! It sure is very lovely indeed! Also, I’m totally with you on the bottle, it really is beautiful. I would also be sniffing it without having smelt the original which in some respects can be quite nice as it would be viewed as an individual rather than a comparison. I will have a look for this one next time I am anywhere near a perfume department as it sounds more up my street than the characterless modern release. I totally agree, it can be quite eye opening to try the classics for the first time. I suppose you also avoid the sadness that comes with reformulation. Le Parfum is a very nicely done perfume. I found it to be very amiable and pretty but in comparison to Ma Griffe it definitely lacks character. I love the original parachute release they did. If anyone tried that today people would be running for cover thinking its a terrorist attack. Imagine how cool that must have been. There you are just walking down the street and all of a sudden a perfume sample comes drifting down from heaven. It’s a perfumista’s dream come true. I think my aunt may have had Ma Griffe back in the day, but I have no idea what it smelled like. It’s almost a shame thinking that such a publicity stunt wouldn’t happen today. Now we’re just subjected to an onslaught of meaningless social media. Your aunt definitely had taste! In about 1956 I was dating and madly in love with a young man from Paris who gave me Ma Griffe and when he returned to Paris he would send me bottles saying he wanted me to always smell the same when he returned to the US. Alas! The romance did not last but I still wear MaGriffe. I am 82 and still think of him when I spritz MaGriffe on before going out. What a story, Bea! Thanks so much for sharing. You smell FABULOUS! I often find floral chypres rather old-fashioned, but a classic is a classic and Ma Griffe is definitely one. Oh yes, the health & safety police would put a stop to such a lovely idea pretty swiftly. A classic is a classic, you are very right! I ADORE the original: need to smell the reorchestration. This one is most definitely worth a sniff. I’d be interested to hear your thoughts on the comparison between the older version and this one. Looking at that note-pyramid, it just looks like a (even THE !?) perfect ‘classic perfume’ composition. Especially with it’s ‘leather facet’ as well. … I think if someone had asked me to compose a classic ‘leather chypre’, that pyramid is probably exactly what I’d have chosen too. (Except perhaps with just a touch of pure unadulterated oakmoss too, of course !) 😉 – Otherwise on paper it certainly looks like a perfect ‘classic’ IMO. It’s a pretty classic list of notes isn’t it? They knew what they were doing back in them days! Every day would be like Christmas is samples were parachuted from the sky! You have encapsulated the journey that this perfume has made from vintage to the present incarnation perfectly (and without even having smelt the earlier version). Yes, Ma Griffe has become a mother! She has a milky softness now that simply wasn’t there before, though is none the worse for this. And though this is definitely the same scent underneath in her new flowing white linens she may just attract a more modern crowd. Thankfully the very good most recent last iteration (clear and green glass cube) still survives in perfume inclined pharmacists everywhere, for she is an abstract work of art in her own right and quite different enough to justify (as if justification were needed) owning the two. 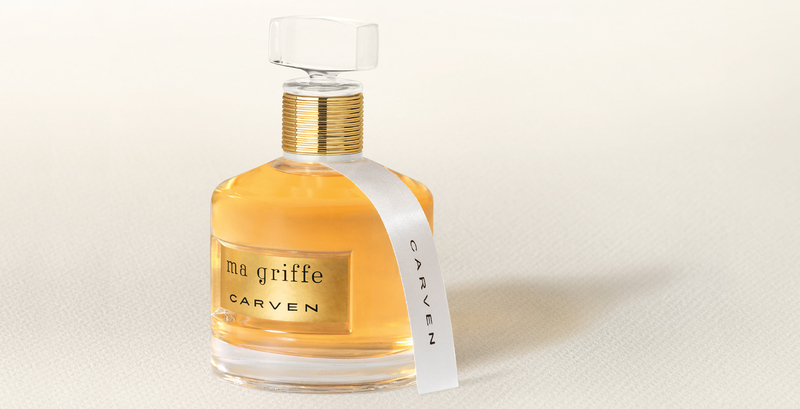 Ma Griffe is one of the truly great fragrances and (the old version) a absolute steal. I’m glad to hear that, whilst the older and newer versions aren’t identical, the newer is at least faithful to the signature in some respect. I’ll have to seek out some of that older stuff for comparison! Believe it or not, I have an older bottle that did not seem to go too bad for whatever reason and just rec’d the newer version, not the same scent I fell in love w so many years ago. Thanks for feeding back about your experiences with the new and the old Ma Griffe. It’s good to here about the differences and a shame that they both scents seem to be so different for you. I first encountered Ma Griff in 1960 and instantly it became MY perfume. My family all knew it was what I wanted for birthdays and Christmas. I absolutely loved it. Can’t wait to try the new incarnation. Oldie. Let me know what you think of the new version. My boyfriend first gave me a bottle when I was 16, way back in 1964./ It is still my favourite, although I did notice, when I bought a new bottle just this month, that it seemed slightly different – perhaps not as intense. New Escentual Post: Marni, Marni, Marni!